Helping Victims Across the United States. Our attorneys can help you through this difficult process. Not only can we help you better understand the complications of asbestos exposure and mesothelioma, but we will also help you understand the litigation process. Let our injury attorneys guide you. Asbestos is a natural fiber, which was commonly used in fireproofing materials and insulation. Asbestos fibers are so small, they cannot be seen by the naked eye. 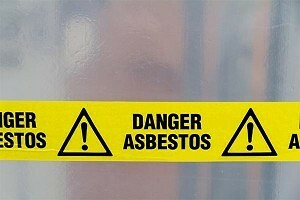 The primary danger from asbestos is from inhaling the fibers into the lungs. Once inhaled, some asbestos fibers will remain in the body forever. Over long periods of time, inhaled asbestos fibers can cause life-threatening and fatal diseases, including asbestosis, lung cancer, and mesothelioma. Researchers have not determined a safe level of exposure to asbestos. However, scientists and doctors have determined that the greater and longer the exposure to asbestos, the higher the risk of suffering asbestos-related diseases. If you or a loved one has suffered an injury due to asbestos exposure, we can help. Call us now at (800) 888-8888 or contact us. Studies show the same inflammatory process, which causes asbestosis can lead to cancer developing in the tissue of the lungs. Mesothelioma is a form of cancer often caused by exposure to asbestos. Cancer cells develop in the mesothelium, which is the protective lining that covers most of the internal organs. Doctors have experienced an increase in the diagnosis of asbestos-related diseases among individuals with indirect exposure to asbestos. The wives and children of workers who were exposed to asbestos have also suffered significant exposure simply through contact with the worker’s clothes. It is important to remember the development of an asbestos-related disease is a very gradual process and the disease often occurs thirty to fifty years or more after exposure.